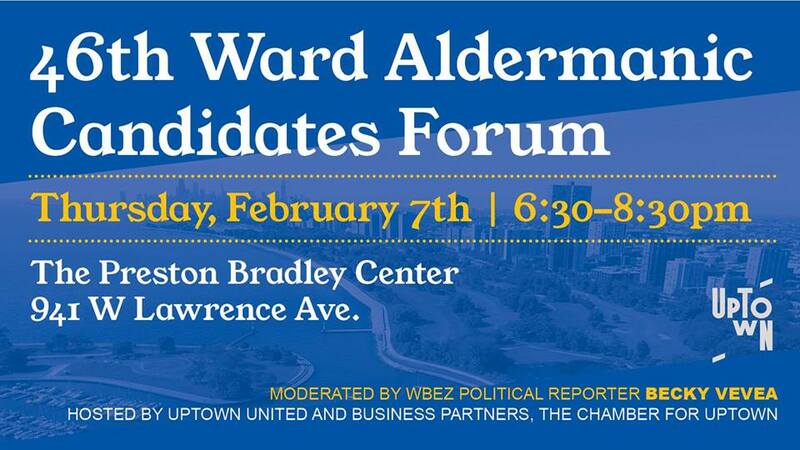 The Preston Bradley Center | 941 W Lawrence Ave.
Join us to hear from the candidates running for Alderman of the 46th Ward about issues facing the ward and the City. All candidates confirmed their attendance at this forum. Please arrive early, as seating is limited. Doors open at 6:00pm. This election is so BORING. Only LaLa and E Wow/Woz have any significant cash on hand and even that's relatively piddling. E WOW was expecting major union support and only CTU has come through big for her. Methinks CTU is spending their time and effort on electing Honest Toni Preckwinkle of the Burke son hiring Preckwinkles. JON-ROBERT still has the Onionesque logo but has raised less cash than my coming property tax payment. Kreindler even less. Clay finally formed a committee and said committee's purpose is to "elect Angela Clay and continue affordability in the 46 ward". She's seemingly raised little money and nothing has been reported yet. Still she'll out poll the self satisfied gruesome twosome of JON-ROBERT/Kreindler. I did speak briefly to her in front of Aldi a few weeks back and she does seem sincere. Wrong, but sincere. I look forward to seeing JON-ROBERT in person. Is he as fabulous as his Onionesque logo? I did encounter Kreindler on street few months back---I was overwhelmed by his magnetic personality and am glad the encounter was short. Cappleman has raised a good amount of cash from unions, to E WOW's Winter of Discontent, and seems to be moving along to a first round victory in 25 days. I could be wrong though. I didn't expect runoff in 2015, but all five challengers put together lack the money or appeal of Amy Crawford. 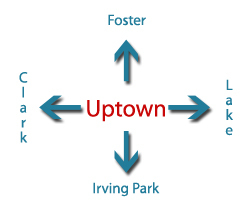 She had advantage of being able to appeal to the ABC contingent, Anyone But Cappleman, and the Lakeview property owners by virtue of her U of Chicago law degree. Plus the economy was down and we hadn't seen all the development we're seeing now. All five challengers are basically left of center types trying to outdo one another on discussions of emptying out the jails and building more low income housing. I fully expect Capp to flat out carry 38 out of 40 precincts--he'll lose two precincts North of Montrose. Amusing thing is if JON-ROBERT and Kreindler overperform and E Wow and LaLa underperform Clay has a shot at being second. I'd put her at maybe 13 percent say between what Kaplan got in 2011 and Davis got in 2015. That's her base. The remaining Shilleristas who dream of the day condo owners all die and their units are turned over to non profits to be run as low income housing. I guess it's better than if I was running and named Saddam Hussein and his sons Uday and Uusay as role models--I guess. Cappleman versus an unreconstructed Shillerista would be fun to watch. Imagine how excited Kaplan would be. The squealing and spanking sounds coming from JPUSA would be BIBLICAL. They'd work themselves into an uproar and then Capp would win with 65-70 or more of the vote. Sadly for me and happily for sane people that's not a likely scenario. A trollish pirate can dream can't he? Political commentator is predicting a Cappleman/E Wow runoff. I doubt it, but check in with me in 25 days. Here's Stewart's column. He's more often wrong than I am and that's saying something. From Justin's site "My friends and many neighbors are frightened by our police". As an owner of a condo in a building with over 200 residents I can certainly say that not one of us is "afraid" of the police! I think you should stand by our police for putting their lives on the line everyday. The ONLY reason one should be "afraid" of the police is if they're doing something wrong. Justin also seems to want to keep the neighborhood depressed, thank you alderman Cappleman for trying to improve the hood for the poor and middle class alike. We have invested a lot of our resources in this community and look forward to a return on our investments. Jon-Robert's time would be better spent where he's from; New York. Just received a mailer from Justin. Seem's to like the new buzzword, "RACIST". Identity politics don't work. You look like someone who may have gotten ahead, could your "White privilege" been on your side??? Based on your involvement in Planned Parenthood do you approve of babies being murdered after birth? Talk abouT immoral! Now Lalonde seems to show for everything. She's like the energizer bunny of Cappleman opponents. She's a bit awkward in person, but I respect her work ethic and genuine commitment to the community. Even after she's trounced in 19 days she'll still be out there working with her block club. I expect and hope Cappleman will triumph on the 26th with well over 200 percent of the vote, but for decency's sake I hope Lalonde comes in second and gets the silver medal or if you prefer gold medal among the challengers. Angela Clay seems genuine and sincere, but she suggested Shiller is her role model so thppppt to her. Kreindler and McDowell just strike me as "off". Believe me I know "off" particularly when I'm "off" my lithium and those two are "off". Oh well time to reup my lithium prescription. Did E Wow realize her campaign office is the site of a notorious former pill mill that Cappleman worked to close down? I doubt it, but it amuses me. Got that shut down and three Tuesdays from now he will shut down her dreams of returning Uptown to the glory days of pill mills and vacant lots. Get out there and vote early folks. Encourage your neighbors to vote early. Take nothing for granted because the forward momentum that's happened in the 46th ward these last few years could be slowed, stopped or even a bit reversed if Cappleman doesn't get reelected. Remember friends don't let friends vote Wozniak! Irish Pirate is clearly paid by the word. 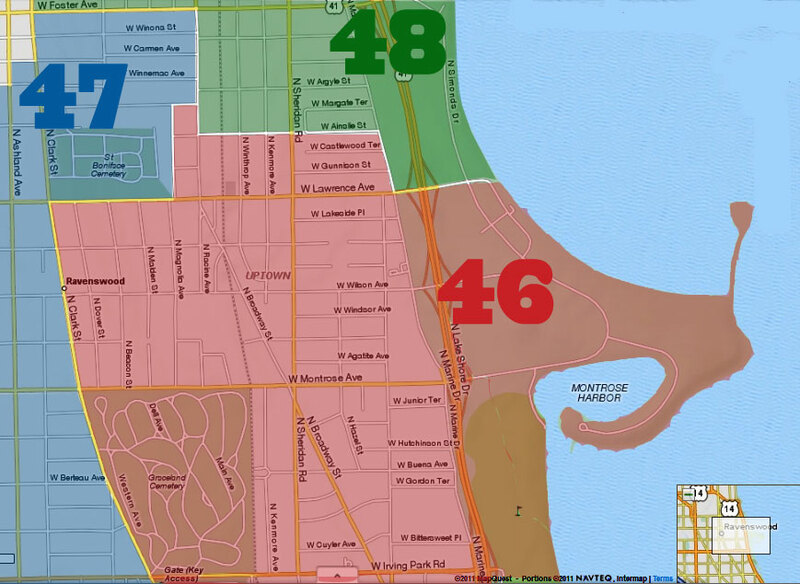 All the 46th Ward candidates live in the 46th ward. Finding a prior address is probably not the smocking gun you thought it was, Roger Stone. Actually I'm paid in opiate pills from the former pill mill that serves as Wozniak's campaign HQ--or so the Oompa Loompas would have you believe. 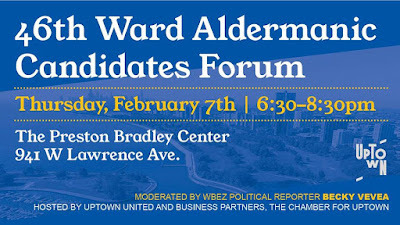 I believe all the candidates live in the ward. I'm just not sure when E Wow(Wozniak) moved into the ward after she and hubby bought the condo. You have to admit, well if you were marginally honest, that they've seemed to live a peripatetic life the last few years. So endeth the lesson. Come back if you want another spanking or head over to JPUSA and see if they're doing a seventies show at Everybodys Coffee. In sixteen days you and E Wow will be singing this lament. Come over to Cappleman's victory soiree and say hello. I'll be there. Dude, other than sending me running to define "peripatetic" that was a whole lot of nothing. If you were ever honest, I'd even believe the anecdote about your wife. Whatever the Alderman pays you, it's entirely too much. I don't have a horse in this race, but I am going to stay away from your horse hiney.